This is a guest post by Andy Ngo. He is a graduate student in political science at Portland State University. His academic interests include political Islam and secularism in the Middle East and North Africa. He can be reached on twitter at @MrAndyNgo and email at ango@pdx.edu . 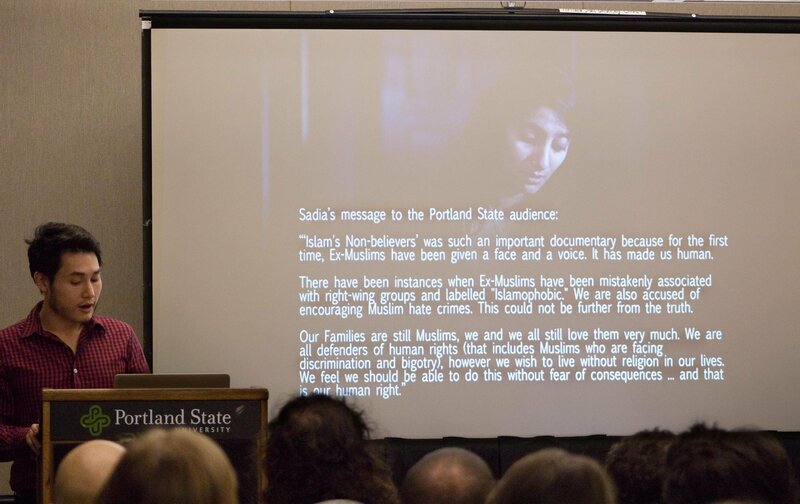 On Nov. 23, over 60 people attended the screening of Islam’s Non-Believers at Portland State University. The documentary film featured the personal testimonies of ex-Muslims who have faced death threats, severe abuse and ostracization from their communities for leaving Islam. The film’s director, Deeyah Khan, is a Muslim and human rights activist. 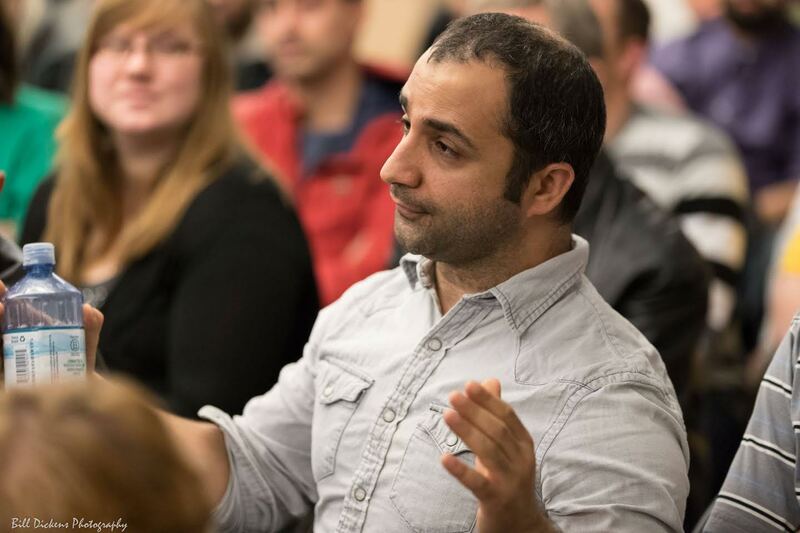 The event was hosted by secular humanist student group, Freethinkers of PSU. Controversy surrounded the event in the weeks leading up to the screening. Some students found the event insensitive given the political climate, while others thought the event promoted discrimination. In the glass display case for Freethinkers, a note was left which read, “Atheist Islamophobia is not okay.” Across campus, many flyers for the event were vandalized or torn down. 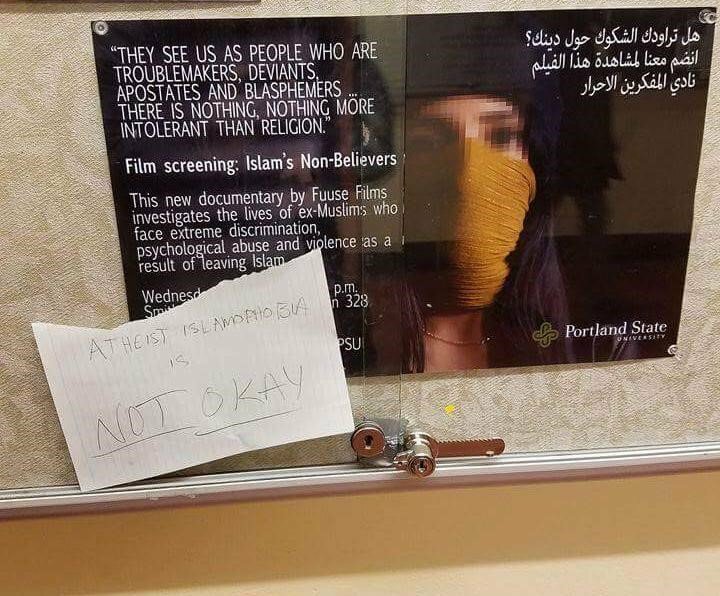 An anonymous note which read, “Atheist Islamophobia is not okay” was left in the display case for the event. In response to the backlash, two ex-Muslim women featured in the documentary issued statements which were read or shown at the screening. “I hope you realize that discriminating against ex-Muslims is not an excuse to validate your savior complex,” Rayhana said in a pre-recorded video message. Andy Ngo, a student leader with Freethinkers of PSU, reads off Sadia’s statement to the audience. Collin Berrend. Despite the controversy leading up to the event, the screening proceeded without any disruptions. 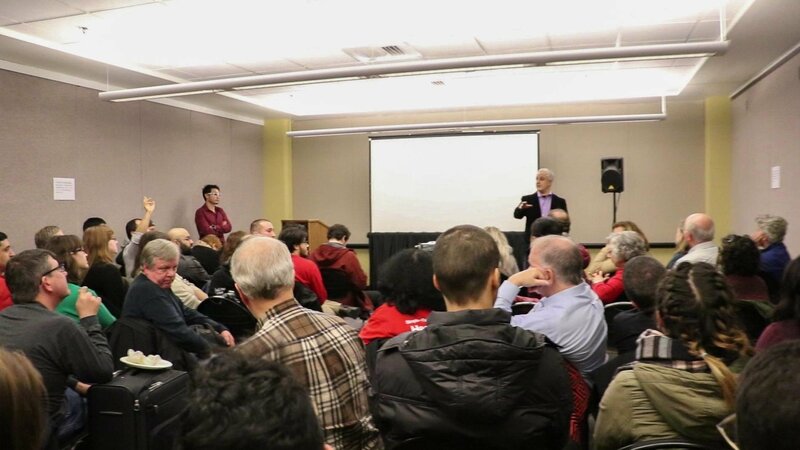 Dr. Peter Boghossian, professor of philosophy at PSU, facilitated a group discussion after the film ended. In attendance were ex-Muslims of Saudi Arabian, Pakistani, Egyptian, Jordanian and Iranian backgrounds. Some of them shared their thoughts with the diverse audience, which included practicing Muslims. 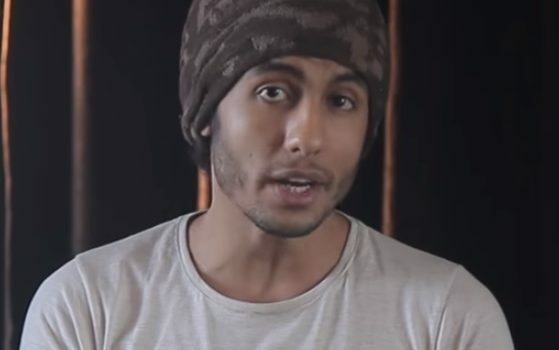 Several ex-Muslims requested that video cameras be turned off due to fears they could be publicly outed as apostates and because of concerns for their physical safety. An Iranian-American student explains how the vast texts and scholarly rulings in Islamic tradition make it easy to justify most behaviors. Bill Dickens. Apostasy is the act of leaving one’s religion. 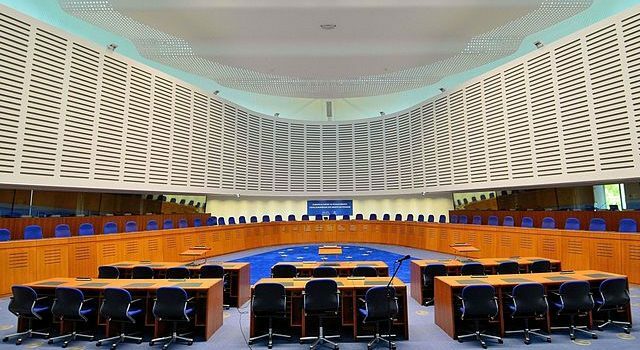 In some traditional and conservative interpretations of Islam, death and imprisonment are punishments for apostasy. One Muslim woman in attendance objected to the narrative presented in the film. “The punishment for apostasy in the Qur’an is not death,” she said. “The Qur’an is written in Arabic and most people from Bangladesh, India and other parts don’t speak Arabic.” Two native Arabic speakers later challenged this assertion when they recited several Qur’anic verses which can be interpreted as prescribing death for those who reject God. At one point, Boghossian had to interject in the contentious discussion. “We could be here for weeks if we are going to engage in an exegetical debate about Islamic theology and interpretation,” Boghossian said. Dr. Peter Boghossian facilitated the discussion after the film screening. Boghossian concluded the discussion after about 45 minutes, but many in the audience stayed to continue conversations. Freethinkers of PSU is hosting a follow-up discussion on issues raised in the film on Nov. 30 at 5 p.m. in Smith Memorial Student Union, room 230.